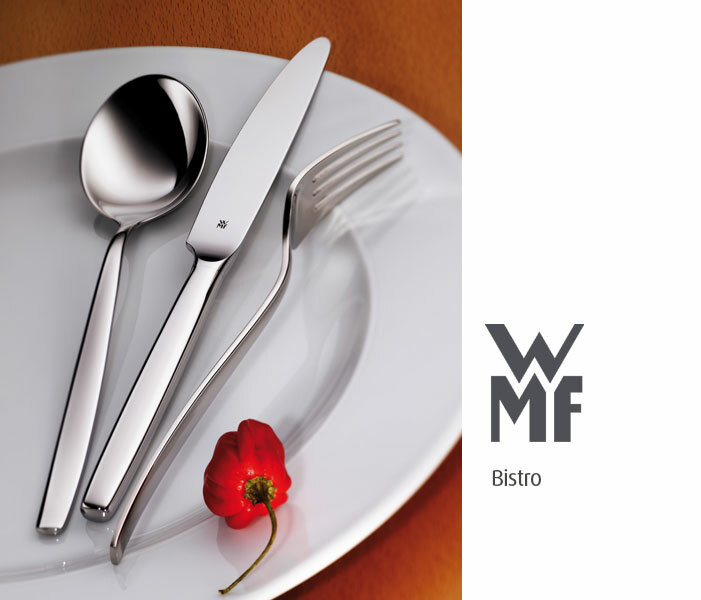 WMF Cutlery, designer professional hotel equipment, high quality and good looks. 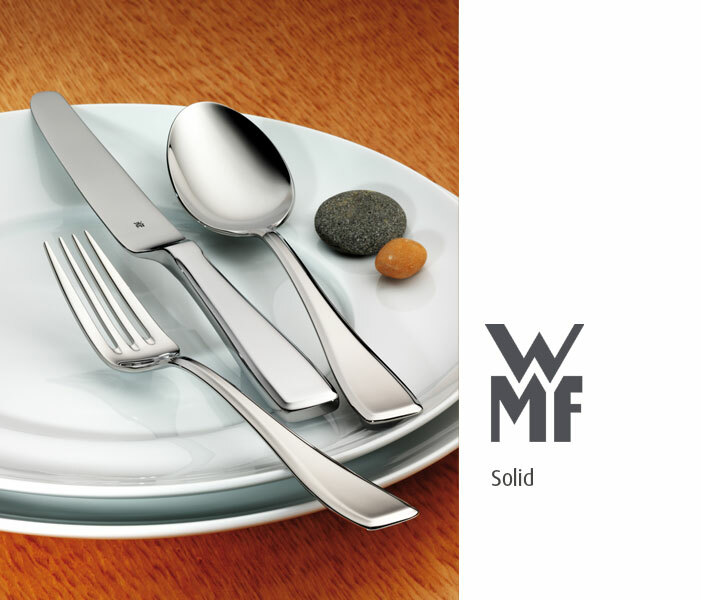 WMF Cutlery made of Cromargan protect® is extremely resistant to all signs of wear and tear. 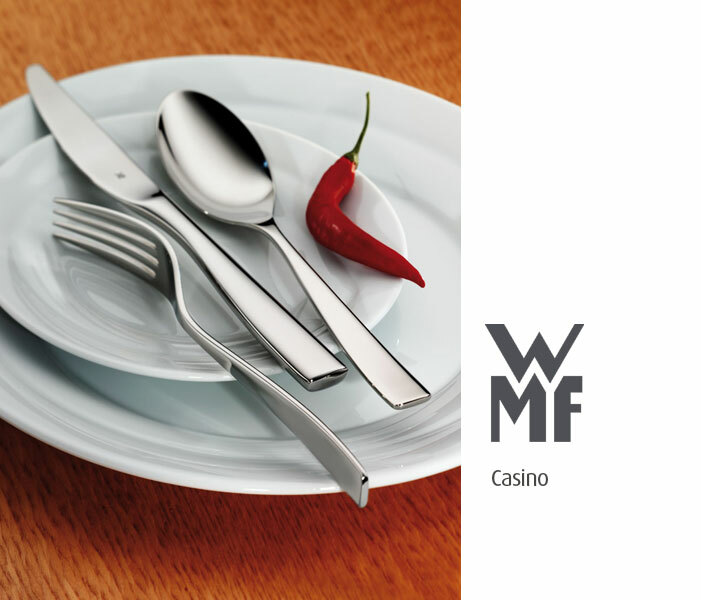 After intensive research, WMF has succeeded in refining Cromargan® so that it is more resistant to scratches than normal stainless steel. Intense use and frequent cleaning in the dishwasher cannot damage Cromargan protect®. Polished surfaces stay shiny, matte finish stays matte. 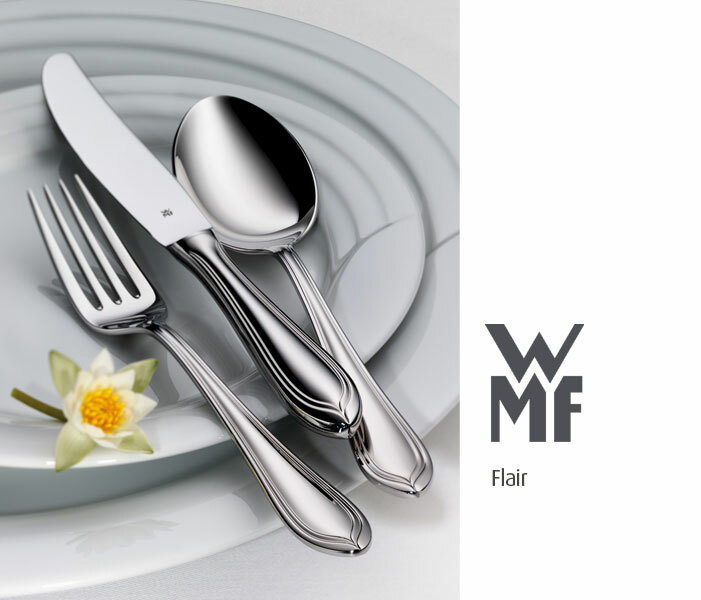 The cutlery looks pristine even after a number of years – almost as good as on the day it was bought. 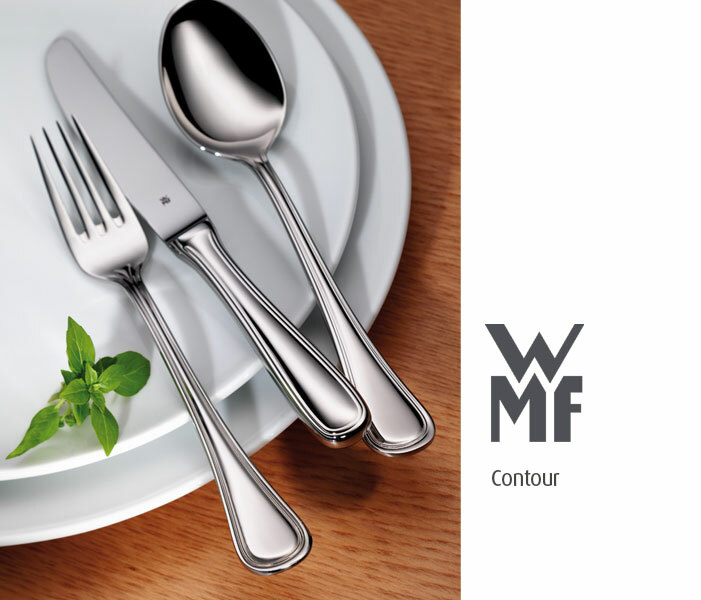 Cutlery made of Cromargan protect® is extremely resistant to all signs of wear and tear. 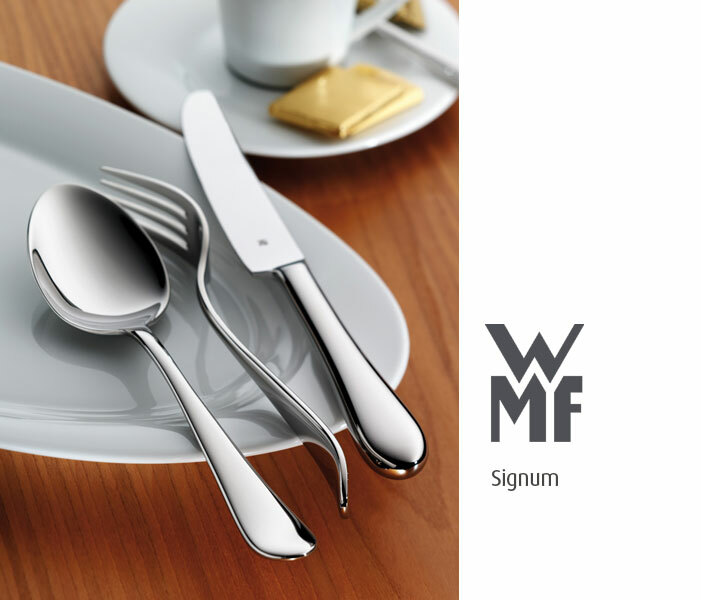 After intensive research, WMF has succeeded in refining Cromargan® so that it is more resistant to scratches than normal stainless steel. Intense use and frequent cleaning in the dishwasher cannot damage Cromargan protect®. 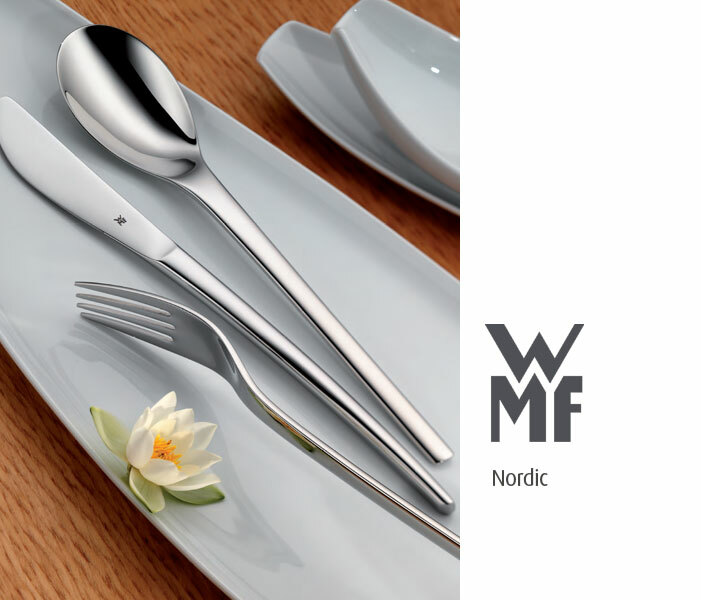 WMF has been making cutlery for more than 150 years. It has been a long journey from the first books of samples and technical model making to modern CAD developments. 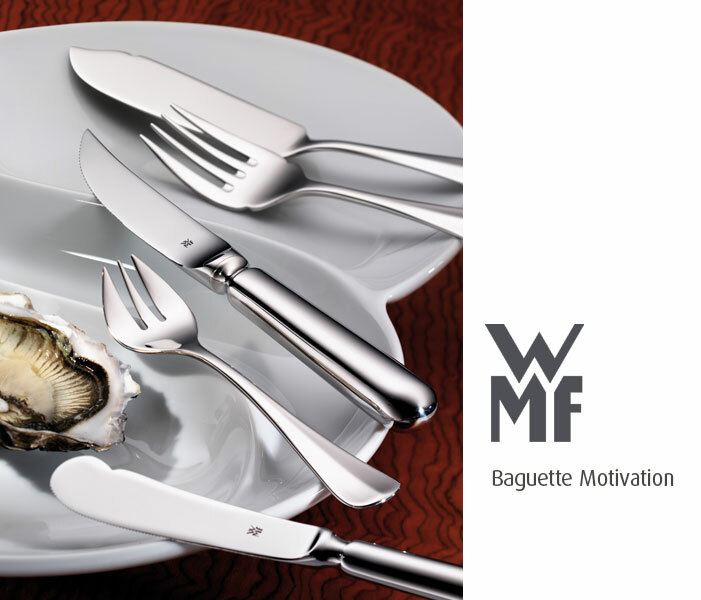 From the outset, WMF cutlery was always produced with meticulous care and its design set the trends for contemporary taste. 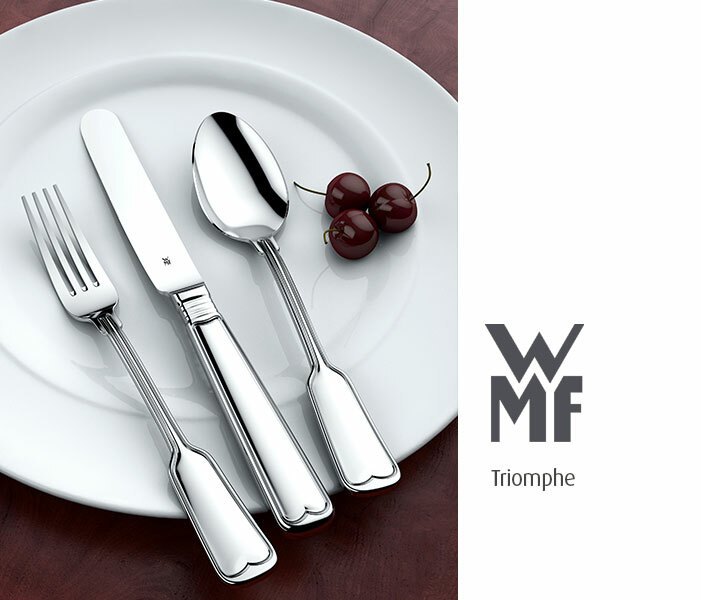 WMF product development has always followed current market strategies. The lifestyle habits of different cultures worldwide are being observed in order to identify trends early on. 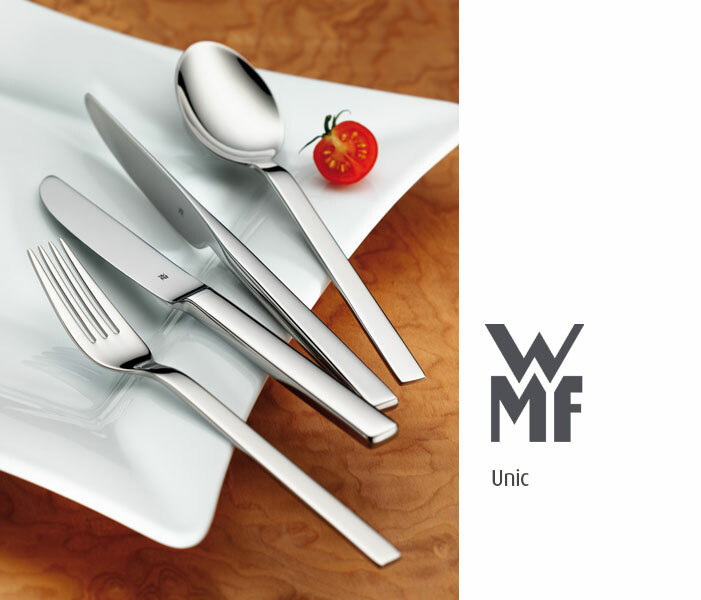 International designers use this to develop contemporary cutlery styles. 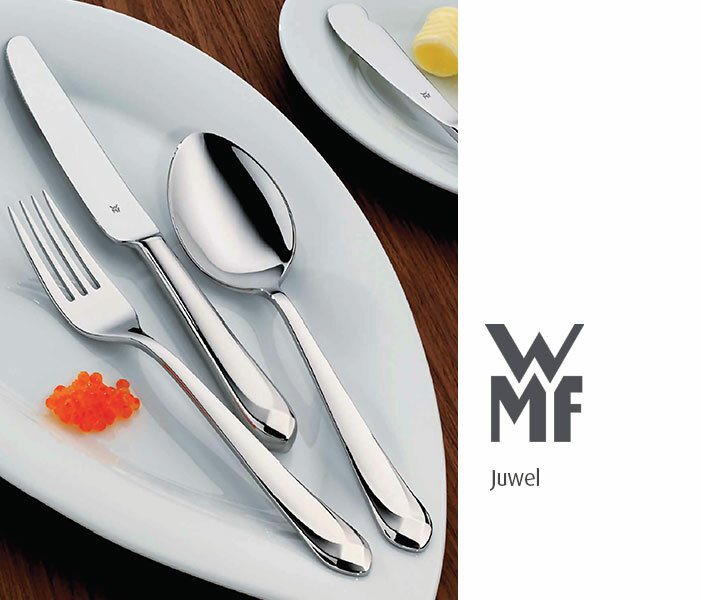 Before a cutlery model is launched on the market, it is tested in various target groups. 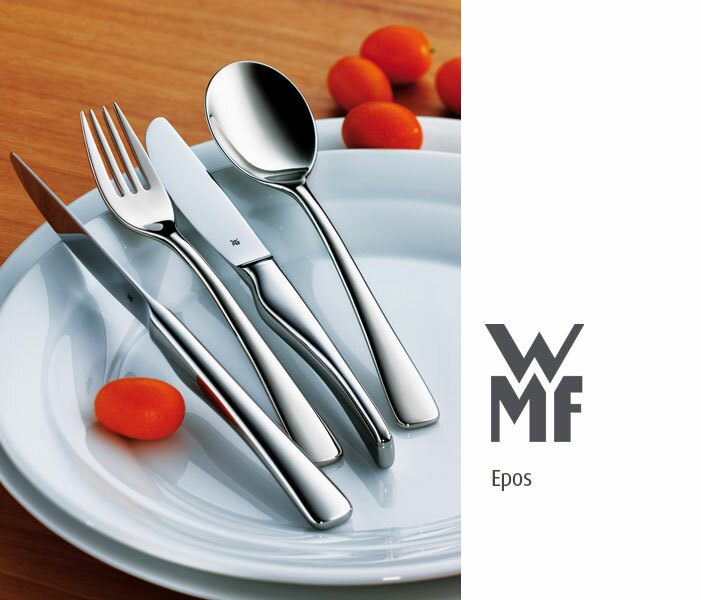 This sound procedure is characteristic for the sustained success of WMF cutlery and this is confirmed by a number of international awards.